Always a pleasure to provide our wedding DJ services for clients celebrating their Big Day at West Tower. 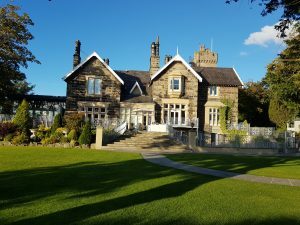 An exclusive wedding venue hidden away in the Lancashire country side near Ormskirk makes for an idyllic setting. On this occasion, Mr & Mrs Booth had booked wedding DJ favourite Andy B for their evening reception. The band getting the party started! They bring a modern sound & light show. Carry a comprehensive selection of music & will be able to cater for most requests on the night, which is something they’ll encourage. Beforehand, we’d in touch so that you can go through specific requests for the evening. You can have as much pre event communication as required to ensure we get it just right on the night. As well as the disco, we also act as the host for the evening – introducing the first dance, announcing the buffet etc. Dress code is normally suit & tie as appropriate the occasion. Our prices start from £275 which covers the first 5 hours. Any additional time is £30 per hour. 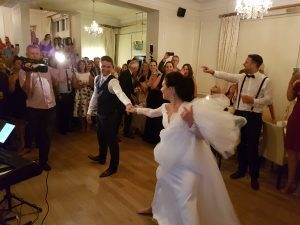 We also offer many related products & services such as dance floor hire, photo booths/selfie mirrors, casino tables, chocolate fountains, venue dressing/chair covers etc. We may be able to put a package together for you if you’re having several items, please ask for details. 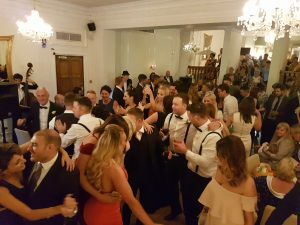 So, if you’re looking for an experienced wedding DJ for your Big Day at West Tower, or throughout Lancashire, just email your enquiry to andy@andybevents.co.uk Include the venue details & date for an accurate quote.